1. My entire management plan, a plan that spans six thousand years, consists of three stages, or three ages: the Age of Law in the beginning; the Age of Grace (which is also the Age of Redemption); and the Age of Kingdom in the last days. My work in these three ages differs in content according to the nature of each age, but at each stage it accords with man’s needs—or, to be more precise, it is done according to the tricks that Satan employs in the war that I wage against it. The purpose of My work is to defeat Satan, to make manifest My wisdom and omnipotence, to expose all of Satan’s tricks, and thereby to save the entire human race, which lives under its domain. It is to show My wisdom and omnipotence while at the same time revealing the unbearable hideousness of Satan. Even more, it is to teach My creations to discriminate between good and evil, to know that I am the Ruler of all things, to see clearly that Satan is humanity’s foe, the lowest of the low, the evil one, and to tell, with absolute certainty, the difference between good and evil, truth and falsehood, holiness and filth, and what is great and what is ignoble. This way, ignorant humanity will become able to bear witness to Me that it is not I who corrupt humanity, and only I—the Lord of creation—can save humanity, can bestow upon man things for their enjoyment; and they will come to know that I am the Ruler of all things and Satan is merely one of the beings that I created and that later turned against Me. My six-thousand-year management plan is divided into three stages so as to achieve the following effect: to enable My creations to become My witnesses, to comprehend My will, and to know that I am the truth. 2. The six-thousand-year plan of management is divided into three stages of work. No one stage alone can represent the work of the three ages, but only one part of a whole. The name Jehovah cannot represent the whole of God’s disposition. The fact that He carried out His work in the Age of Law does not prove that God can only be God under the law. 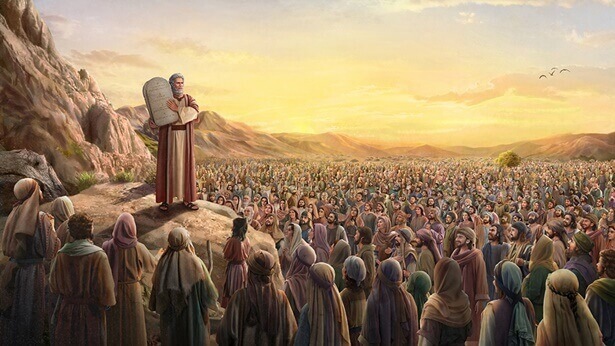 Jehovah set forth laws for man and handed down commandments to him, asking man to build the temple and the altars; the work He did represents only the Age of Law. This work that He did does not prove that God is only a God who asks man to keep the law, or that He is the God in the temple, or that He is the God before the altar. To say this would be untrue. The work done under the law can only represent one age. Therefore, if God only did the work in the Age of Law, then man would confine God within the following definition, saying, “God is the God in the temple, and, in order to serve God we must put on priestly robes and enter the temple.” If the work in the Age of Grace had never been carried out and the Age of Law had continued until the present, man would not know that God is also merciful and loving. If the work in the Age of Law had not been done, and instead only the work in the Age of Grace, then all man would know is that God can only redeem man and forgive man’s sins. Man would know only that He is holy and innocent, and that for man’s sake He is able to sacrifice Himself and be crucified. Man would know only these things but have no understanding of all else. And so each age represents one part of God’s disposition. As for which aspects of God’s disposition are represented in the Age of Law, which in the Age of Grace, and which in this present stage: only when all three stages have been integrated into one whole can they reveal the entirety of God’s disposition. Only when man has come to know all three stages can he understand it fully. None of the three stages can be omitted. You will only see the disposition of God in its entirety after coming to know these three stages of work. 3. The separation of the ages, changes in God’s work, changes in the location of work, changes in the recipient of this work, and so on—these are all included in the three stages of work. In particular, the difference in the Holy Spirit’s way of working, as well as alterations in God’s disposition, image, name, identity, or other changes, are all part of the three stages of work. One stage of work can only represent one part, and is limited within a certain scope. It does not involve the separation of the ages, or changes in God’s work, much less the other aspects. This is a clearly obvious fact. The three stages of work are the entirety of God’s work in saving mankind. Man must know God’s work and God’s disposition in the work of salvation, and without this fact, your knowledge of God is but hollow words, nothing more than armchair pontification. 4. The work of managing mankind is divided into three stages, which means that the work of saving mankind is divided into three stages. These three stages do not include the work of creating the world, but are rather the three stages of the work of the Age of Law, the Age of Grace, and the Age of Kingdom. The work of creating the world was the work of producing the whole of mankind. It was not the work of saving mankind, and bears no relation to the work of saving mankind, for when the world was created mankind had not been corrupted by Satan, and so there was no need to carry out the work of mankind’s salvation. The work of saving mankind only began when mankind had been corrupted, and so the work of managing mankind also only began when mankind had been corrupted. In other words, God’s management of man began as a result of the work of saving mankind, and did not arise from the work of creating the world. It was only after mankind acquired a corrupt disposition that the work of management came into existence, and so the work of managing mankind includes three parts, rather than four stages, or four ages. Only this is the correct way to refer to God’s management of mankind. 5. The three stages of work are at the heart of God’s entire management, and in them are expressed the disposition of God and what He is. Those who do not know of the three stages of God’s work are incapable of realizing how God expresses His disposition, nor do they know the wisdom of God’s work, and they remain ignorant of the many ways in which He saves mankind, and His will for the whole of mankind. The three stages of work are the full expression of the work of saving mankind. Those who do not know the three stages of work will be ignorant of the various methods and principles of the Holy Spirit’s work; those who only rigidly stick to doctrine that remains from one stage of work are people who limit God to doctrine, and whose belief in God is vague and uncertain. Such people will never receive God’s salvation. 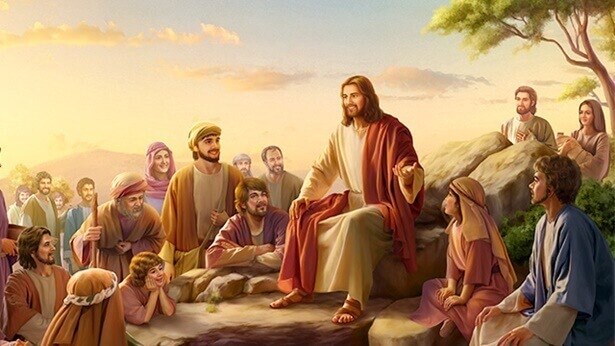 Only the three stages of God’s work can fully express the entirety of God’s disposition, and completely express God’s intention of saving the whole of mankind, and the entire process of mankind’s salvation. This is proof that He has defeated Satan and gained mankind, it is proof of God’s victory, and is the expression of God’s entire disposition. 6. No single stage of the three stages can be held up as the only vision that must be known by all mankind, for the entirety of the work of salvation is the three stages of work, not a single stage among them. As long as the work of salvation has not been accomplished, the management of God will be unable to come to a complete end. God’s being, disposition, and wisdom are expressed in the entirety of the work of salvation, not revealed to man at the very beginning, but have been gradually expressed in the work of salvation. Each stage of the work of salvation expresses part of the disposition of God, and part of His being; not every stage of work can directly and completely express the entirety of God’s being. As such, the work of salvation can only be fully concluded once the three stages of work have been completed, and so man’s knowledge of the entirety of God is inseparable from the three stages of God’s work. 7. From the work of Jehovah to that of Jesus, and from the work of Jesus to that of this current stage, these three stages cover in a continuous thread the entire gamut of God’s management, and are all the work of one Spirit. Since the creation of the world, God has always been at work managing mankind. He is the Beginning and the End, He is the First and the Last, and He is the One who begins an age and the One who brings the age to an end. The three stages of work, in different ages and different locations, are unmistakably the work of one Spirit. All those who separate these three stages stand in opposition to God. 8. Why do I say time and again that this stage of work builds upon the Age of Grace and the Age of Law? This means that the work of this day is a continuation of the work done in the Age of Grace and an advance over that done in the Age of Law. The three stages are tightly interconnected and each link in the chain is closely tied to the next. Why do I also say that this stage of work builds on that done by Jesus? Supposing that this stage did not build on the work done by Jesus, He would have to be crucified again in this stage, and the redemptive work of the previous stage would have to be done all over again. This would be meaningless. And so it is not that the work is completely finished, but that the age has moved forward and the level of the work has been raised even higher than before. It may be said that this stage of work is built on the foundation of the Age of Law and on the rock of Jesus’ work. The work is built stage by stage, and this stage is not a new beginning. Only the combination of the three stages of work may be deemed the six-thousand-year management plan. 9. The work of God’s entire management plan is personally done by God Himself. The first stage—the creation of the world—was personally done by God Himself, and if it had not been, then no one would have been capable of creating mankind; the second stage was the redemption of all mankind, and it was also personally done by God Himself; the third stage goes without saying: There is an even greater need for the end of all God’s work to be done by God Himself. The work of redeeming, conquering, gaining, and perfecting the whole of mankind is all personally carried out by God Himself. If He did not personally do this work, then His identity could not be represented by man, or His work done by man. In order to defeat Satan, in order to gain mankind, and in order to give man a normal life on earth, He personally leads man and personally works among man; for the sake of His entire management plan, and for all of His work, He must personally do this work. 10. The whole of God’s disposition has been revealed in the course of the six-thousand-year plan of management. It is not revealed only in the Age of Grace, nor only in the Age of Law, even less so only in this period of the last days. The work carried out in the last days represents judgment, wrath, and chastisement. The work carried out in the last days cannot replace the work of the Age of Law or that of the Age of Grace. However, the three stages, interconnecting, form one entity, and all are the work of one God. Naturally, the execution of this work is divided into separate ages. The work done in the last days brings everything to a close; that done in the Age of Law is the work of commencement; and that done in the Age of Grace is of redemption. 11. The three stages of work carried out from the beginning until today were all carried out by God Himself, and were carried out by the one God. The fact of the three stages of work is the fact of God’s leadership of all mankind, a fact that no one can deny. At the end of the three stages of work, all things will be classed according to kind and return under the dominion of God, for throughout the entire universe there only exists this one God, and there are no other religions. 12. Why this continual reference to the three stages of work? The passing of the ages, social development, and the changing face of nature all follow alterations in the three stages of work. Mankind changes in time with the work of God, and does not develop by itself. 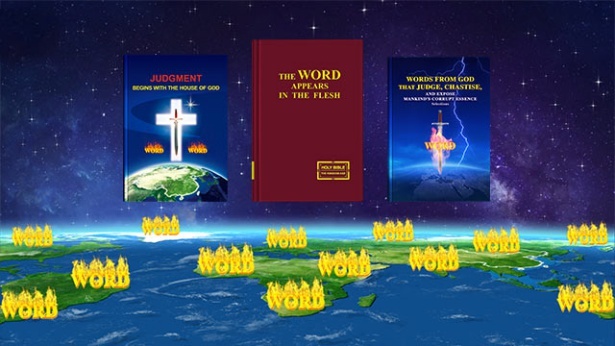 Mention of the three stages of God’s work is in order to bring all creatures, and people throughout each religion, under the dominion of one God. Regardless of what religion you belong to, ultimately you will all submit under the dominion of God. Only God Himself can carry out this work; it cannot be done by any religious head. 13. The core of these three stages of work is the salvation of man—namely, making all of creation worship the Lord of creation. Therefore, every stage of this work is very meaningful; God absolutely will not do something without meaning or value. On one hand, this stage of work consists of launching an era and ending the previous two ages; on the other hand it consists of shattering all human conceptions and all old ways of human belief and knowledge. The work of the previous two ages was carried out according to different human conceptions; this stage, however, completely eliminates human conceptions, thereby completely conquering humanity. 14. The three stages of work are the inside story of God’s management of man, the advent of the gospel of the entire universe, the greatest mystery among all mankind, and are also the foundation of spreading the gospel. 15. The three stages of work are a record of the entire work of God, they are a record of God’s salvation of mankind, and they are not imaginary. If you truly wish to seek a knowledge of God’s entire disposition, then you must know the three stages of work carried out by God, and, what’s more, you must not omit any stage. This is the minimum that must be achieved by those who seek to know God. 16. If you have a clear knowledge of the three stages of work—which is to say, of God’s entire plan of management—and if you can fully correlate the previous two stages of God’s work with the present stage, and can see that it is work done by one God, then you will have no firmer foundation. The three stages of work were done by one God; this is the greatest vision, and is the only path to knowing God. The three stages of work could only have been done by God Himself, and no man could do such work on His behalf—which is to say that only God Himself could have done His own work from the beginning until today. Though the three stages of God’s work have been carried out in different ages and locations, and though the work of each is different, it is all work done by one God. Of all the visions, this is the greatest vision that man should know, and if it can be completely understood by man, then he will be able to stand fast. 17. When the three stages of work come to an end, there will be made a group of those who bear testimony to God, a group of those who know God. These people will all know God and will be able to put the truth into practice. They will possess humanity and sense, and will all know the three stages of God’s work of salvation. This is the work that will be accomplished at the end, and these people are the crystallization of the work of 6,000 years of management, and are the most powerful testimony to the ultimate defeat of Satan. Those who can bear testimony to God will be able to receive God’s promise and blessing, and will be the group that remains at the very end, which possesses the authority of God and bears testimony to God. 18. The kingdom He wishes to establish is His own kingdom. The humanity He wishes for is one that worships Him, one that completely obeys Him and has His glory. If He does not save corrupt humanity, the meaning of His creation of man will come to nothing; He will have no more authority among man, and His kingdom will no longer be able to exist upon the earth. If He does not destroy those enemies who are disobedient to Him, He will be unable to obtain His complete glory, nor will He be able to establish His kingdom upon the earth. These are the symbols of the completion of His work and the symbols of the completion of His great accomplishment: to utterly destroy those among humanity who are disobedient to Him, and to bring those who have been made complete into rest. 19. After carrying out His 6,000 years of work through the present day, God has already revealed many of His acts, primarily to defeat Satan and save all of humanity. He uses this opportunity to allow everything in heaven, everything upon the earth, everything within the seas as well as every last object of God’s creation on earth to see God’s almightiness and to see all of God’s acts. He seizes the opportunity of defeating Satan to reveal all of His acts to humanity and allow people to be able to praise Him and exalt His wisdom of defeating Satan. Everything on earth, in heaven and within the seas brings Him glory, praises His almightiness, praises all His acts and shouts His holy name. This is proof of His defeat of Satan; it is proof of His conquering of Satan; more importantly, it is proof of His salvation of humanity. The whole of God’s creation brings Him glory, praises Him for defeating His enemy and returning victoriously and praises Him as the great victorious King. His purpose is not merely to defeat Satan, and so His work has continued for 6,000 years. He uses Satan’s defeat to save humanity; He uses Satan’s defeat to reveal all His acts and reveal all of His glory. He will obtain glory, and all the multitude of angels will also see all His glory. The messengers in heaven, the humans upon earth and all of creation upon earth will see the glory of the Creator. This is the work that He does. His creation in heaven and on earth will all see His glory, and He will return triumphantly after utterly defeating Satan and let humanity praise Him. He will thus successfully achieve both of these aspects. 20. When humanity has been restored to their original likeness, when humanity can fulfill their respective duties, keep their own place and obey all of God’s arrangements, God will have obtained a group of people upon the earth who worship Him, and He will also have established a kingdom upon the earth that worships Him. He will have eternal victory upon the earth, and those who are opposed to Him will perish for all eternity. This will restore His original intention in creating man; it will restore His intention in creating all things, and it will also restore His authority upon earth, His authority among all things and His authority among His enemies. These are the symbols of His total victory. Henceforth humanity will enter into rest and enter into a life that follows the right track. God will also enter into eternal rest with man and enter into an eternal life shared by God and man. The filth and disobedience upon the earth shall disappear, as shall the wailing upon the earth. All upon the earth that opposes God will not exist. Only God and those people that He has saved shall remain; only His creation shall remain. 21. Such is the management of God: to hand mankind over to Satan—a mankind that doesn’t know what God is, what the Creator is, how to worship God, and why it is necessary to submit to God—and give free rein to the corruption of Satan. Step by step, God then recovers man from the hands of Satan, until man fully worships God and rejects Satan. This is the management of God. All this sounds like a mythical story; and it seems perplexing. People feel that it is like a mythical story, and that is because they have no inkling of how much has happened to man over the last several thousand years, much less do they know how many stories have occurred in the expanse of this universe. And furthermore, that is because they cannot appreciate the more astonishing, more fear-inducing world that exists beyond the material world, but which their mortal eyes prevent them from seeing. It feels incomprehensible to man, and that is because man has no understanding of the significance of God’s salvation of mankind and the significance of the work of God’s management, and does not comprehend how God ultimately wishes mankind to be. Is it a mankind akin to Adam and Eve, uncorrupted by Satan? No! The management of God is in order to gain a group of people who worship God and submit to Him. This mankind has been corrupted by Satan, but no longer sees Satan as his father; he recognizes the ugly face of Satan, and rejects it, and comes before God to accept His judgment and chastisement. He knows what is ugly, and how it contrasts with that which is holy, and he recognizes the greatness of God and the evil of Satan. A mankind such as this will no longer work for Satan, or worship Satan, or enshrine Satan. That’s because they are a group of people that have truly been gained by God. This is the significance of God’s managing mankind.